The 11-3 record to open the season by the University of Hawai’i basketball team is the best start by the program in a decade (the 2003-04 team started 14-3), but the Warriors are also 0-0 at this point. The Big West Conference season starts this week, and Hawai’i has the best non-conference record among the nine teams in the league. The Warriors will open Big West play at Cal Poly this Thursday, then at Cal State Northridge this Saturday. Hawai’i will have to play four of its first five Big West games on the road. Play well guys, better than the first 14 games, take the home court effort, and double if up on the road. I think key, the guard play, along with PF’s Christian and Isaac, blowing up. Actually this year team can really be special, if the bench, all guys coming off, affect winning. Poly and Northridge, in the BWC, no easy cake walks, last year, we thought UH would destroy the BWC except for LBSU, they didn’t , Vander , slow mo, and Spearman injury, plus lack of great PG play, hurt, still UH went 10-8 . This year Only 16 league games, so , have to go 11-5, 12-4, or 13-3, or better to finish top 3, Go Bows!! Start your Long BW Winning Steak! Some conference team statisfics after the non-conference play. Shamburger says he wants to go 16-0 in the conference. I’m not going to say anything against what he says because he’s just being confident, but if let’s just say UH does, that would mean a record of 27-3. You are talking about NCAA here and ranking. A more reasonable record would be to sweep the home games and split on the road so that would make it 12-4 in the conference and 23-7 for the regular season. I think we would have to make it to the conference final to make it to the Big Dance with a final record of 25-8. Otherwise, they would have a very good chance to make it to the NIT. To me, it’s Big Dance or Bust! One game at a time. There shouldn’t be any lack motivation against Poly. We haven’t played well against them last year, but we should be okay this year with our speed, not to mention we are better in just about every category as noted above. The only things is, BE WARY OF THE ROAD! Derek, good breakdown. However, for we long time fans, we know, that Hawaii team tradition of road, speed bumps , potholes or letdown. Maybe this team, is different. Why? They gave Mizzou all they could handle, in the beginning of the year in Missouri, that beautiful arena, silenced the Tiger faithful, when they had the lead at the half, That game, showed me, that this year’s team could compete with any team in top 35 here or on the road. Secondly,they went to N. Arizona, over 7000 feet elevation, their lungs were burning, Gib used about 10 guys, and Nevels goes off for 24 pts, they go into that Monster Press with Davis at the head, and win by 10, with freezing cold outside in Flagstaff. Third, I consider, on Kauai, in small 800 seat gym, very slippery, and humid, fall behind by 15 against a hot shooting team Chaminade, which the home faithful were cheering for possible upset, and they pound it in to Christian, he goes off for 31, and they come back and win by 10, scoring 94 pts. So away from the friendly confines of the Stan Sheriff Arena, UH goes 2-1. 1-1 on neutral, 1-0 in Flagstaff, against a team that wins a huge majority of their home games. And the capper, the bonus, this is virtually a NEW team, no Vander Joaquim Jace, or Hauns, and the others that left, 8 new guys, freshman and JC transfers, and they are very competitive. UH takes the ONE game at a time, and buy into playing OUTSTANDING Defense, as well as hitting their shots, I think, on the road, split or better, maybe 4-4, or 5-3, and of course, a given, they have to protect home court, at 8-0, so you are correct, possible 12-4 or even 13-3 , record, a 16-0,and finishing regular season at 27-3 would put them into the top 30 rankings and above before conference tourney,. Still ONE GAME at a time, the California, guys, will be hyped to play in home state for sure, Hope that Jawato, goes off, hits 2 or 3 threes, per game, will really help team to get separation and wins on the road. Well, Derek and Eagle, and fans, it starts this Thursday, that is the key game, the first on the road trip, they win against Poly, then they have good shot against the athletes of Reggie Theus in the Matadome! Eagle and Derek, DK, jjay, FUHA, hfan, and all fans, enjoy tremendously the comments, EVERYONE wants UH MBB team to do well in BWC! 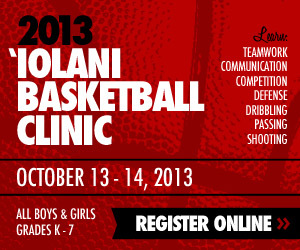 One Ohana, Rainbow Warrior Insider Nation! Eagle, I think as Captain Christian, said from outset, Boom! Always he will bring maximum effort, he did it against Omaha, his shot not falling , still he gets 10 timely pts and 10 rebounds, a double, double.! Captain Spearman, all out hustle, and desire, he affected winning by supreme physical effort, against a tough, physical Omaha team. Captain Davis Rozitis, great at cheering and helping team(Conflict Resolution Major)when they need support. Christian says, as long as UH MBB team stays together, even, if , we hope not, they go into , say a two game losing streak, No finger pointing, get up off the floor, and go to war TOGETHER, no factions, Then go on a 4 or 5 game winning streak, will be test for this team, Adversity strikes, will they stick together, and win together, or learn together from a loss or two. The Road, is always scary, and they need be wary, however, with the leadership of the senior captains, the Jr.s Nevels, Shamburger, super Sophs Smith and Fotu, and the whole team, all fourteen. I like this team’s chances, to get wins on the road. Ultimately, if they could Sweep, this road trip, they would have serious great start, to BWC regular season title, or top 2 finish. I think this team, Stay as One Ohana, win together, stay together, play hard, smart and united, can wing this league, starts Thursday against the Mustangs! Not “wing” the league! I meant WIN this league! Thanks all for posting comments that I enjoy reading. I believe not enough people realize what a special team this is. I go back to Trevor Ruffin days and I can tell you that other than the AC/ Alika and the Euro teams, I have not had this kinda feeling about a Hawaii team since. The bigs will do what they do but I believe the diff will be the guard play and the bench that determines our success. Haha. I think all of you have said this also. So nothing new. Just wanted to express how confident I feel about going on the road this season. Does anybody know if BigWest is gonna stream the games this week? I don’t see it on their website. check the official UH Athletics web site., under Men Basketball schedule, they have the live video link, to Big West TV, I think some road games will be on espn3, not sure, it appears, that all road games, just about, will be online free stream, that is great. warriorhaw, key, UH split or better, hold serve at home, they have a real shot at regular season title-NIT and BWC tourney, they catch fire for three days in a row=NCAA’s..The Big Test, UH contenders, this first road trip, if the sweep, UH is right there, if they split, they will still be in that top 1,2, or 3. Wish that more Students, when Jamie Smith returns, maybe 4-500 or more, come out to home games, then UH will have that 5000-5500, home crowd, and it becomes, a real collegiate enviroment, it was great, the games I went to, and I am UH alumnus , too, still remember the Henderson days! Go Rainbow Warriors, Bows, Warriors, ! Missouri: 12-1 favorites to win their division and get NCAA bid,. N. Arizona: 4-9 they are projected to battle for NCAA bid too. they started season at USC, Fresno St, Drake, Arizona, tough schedule. They will be in the mix, they have very long leauge, stretch. Look for the lumberjacks making a run for the Dance in March. New Orleans in some power ranking polls are much higher that UH, becuase of teams they have played, and they haven’t played too many games yet, in the south they shall rise agains, coud be another team sneak into the NCAA. Montana, they have had early struggles, howeve, they are primed to win the Big Sky, and the NCAA bid. Boise is just Boise, great team, high RPI, and they are favored to go to the NCAA’s again. St Mary’s they are climbing back up the RPI rankings, they are projected to be about 10 out of the PAC 12 that will make the NCAA’s. Norfolk, they look to tear up their MEAC conference, when all their guys are eligible, they are going to be in the NCAA’s barring upsets. Omaha, will not be in the NCAA’s, since they have only been in DI for a couple of year. The cannot even be part of the Summit league conference tournament. Great team, they play phsical. Mayb, they will buy into the pay for play tournaments, CIT or CBI. The Mavericks, probably one of the better teams to play at the Stan Sherirr Center in years! So TEN or the teams, the DI ones, not against Hilo and Chaminade, for the RPI rankings, all ten, have shot at the Big Dance, and these teams will battle tested and ready to fight and win tournament championship and go big dance NCAA’s!! WE all hope our boys make it Too! Give it 1000% and more, play like it is the NCAA playoffs, no goofing off, evey play on the court will affect your winning the game, Go Bows, Go Warrriors!! The question is “Is our team going to get better?r, or will our team get worse?” Nothing ever stays the same. Last year, we started well then we got worse. We had some good games, especially the home game against Long Beach State, but the 2012-13 edition was very inconsistent. Let’s hope this year’s team will be a lot more consistent. The trends say that this team doesn’t have a very glaring weakness. The strength is its balanced scoring, team speed & quickness, led by a group of very good guards (Shamburger, Nevels, Spearman, and Smith). The athleticism on the team is so much better also. I believe this team will get better. This team is a far better than last year, especially the guards. I feel very confident this team will do very well and challenge the BWC considering the overall talented players we have over last year. Also, our bench is deeper with more talented players, they provide valuable minutes when needed. I have high hopes for this team. Go Bow!!!! playhoopsa, NAU is a big sky team, and will struggle to finish in the top half of a confernce with Montana and Weber state. and St. Mary’s is a WCC team, not part of the PAC. xer 21: thanks for the correction, I meant, OSU out of the PAC 12, they are considered, that league, pre season predictions, to be one of possibly 10 teams to make NCAA’s or NIT at least. And you are correct, St Mary’s, is of the WCC and they will battle Gonzaga for WCC tourney crown and NCAA’s, probably SM and Gonzaga go to NCAA’s. We all know, the starting Five when healthy, and all hitting their shots, an turning over the other team by pressure D, getting out in transition, they can play and win on the road. Good guard play two PG’s and two SG’s wings, who are playing well. Key: how do Christian, and Especially Isaac , who last year, was one or two steps slow on the mainland, if they Beast it, just get their averages and more, plus, the firepower, really going to need it, against the Zones that all BWC teams will throw at them to slow UH down, Now, Enos, Jawato, even Hackman, maybe Thomas, and Valdes, have to hit mid range to 3 line. If UH’s bench provide 13-17 pts on the road, and spell the starters, UH has a chance to sweep these first two road games. Still have to Defend and get ALL the rebounds off the Glass, win the battle of the boards,.Plus, a bugaboo…FT shooting, Fotu, Smith, Rozitis, Valdes, Enos, Shamburger, Nevels, Jovanovich, Jawato, Standhardinger, all the guys, who see PT, on the road, especially and at home, each guy has to hit 75%-80% or better, along with 12 or less turnonvers per game. And difference , huge on controlling temp and affecting winning, Shamburger, Smith, AND, what UH did not have for last 6 games of last season, a healthy Brandon Spearman, he is a difference maker. This team, the are ONE TEAM, doesn’t matter who has 25 or 5 pts, just get the win! If holds true to form, the teams that should have beaten Hawaii, at home and away, did, NMSU, Boise St., and Mizzou on the road. According to all the metrics, produced by Dayton, Derek, DK, Eagle, and the WI ohana, only UCSB, is ranked higher RPI, currently, so , supposedly, UH should be favored, even by 1 or 2 points in the next two games, really depends, if guys, are Warrior mentality, play, to the death, have to with urgency, get a jump on sweeping a road trip or two, They would put themselves in great position. Am sure that the Cali boys, will be super happy to play in their home state. Hope, UH wins against Poly, even if close game, Poly disciplined, run sets, half court, UH has to do what they do change, switch defenses, shoot well, rebound, and score, then team closes out game at FT line, they have to make them. Against Northridge, Theus has those Cali, athletes and transfers, in the Matadome, they will be tough, UH has to be physcial, pound it inside, and win. Would not be surprised, if UH plays Warrior style, Beast it, Pound them, and run , D up and close out, They will sweep. ..no less than 1-1, and of course, never 0-2! If team is healthy and take as a business trip, no distractions, UH comes out 2-0, we are really all hoping, UH , take care of business!! thanks for the info and in depth read. 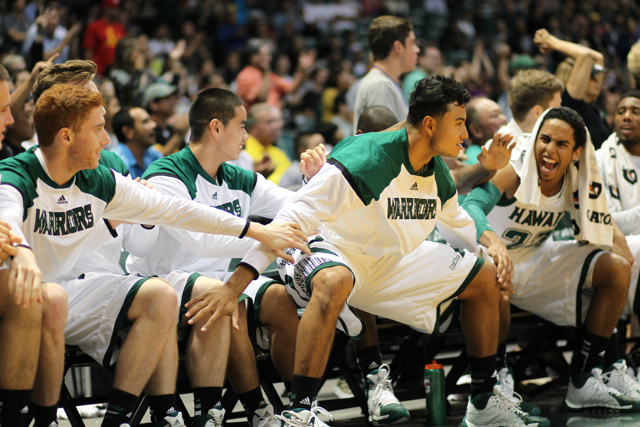 UH needs to hold down Cal Poly’s All Big West forward, Chris Eversley. At 6’7″ he’s a tough match up. Maybe a combination of Standhardinger, Valdes, Spearman, or Thomas all taking turns. Valdes seems to have the athleticism to match the best. well fans, this road trip, separates the men from the boys. UH played well at Missouri, N. Arizona, and that neutral game on Kauai, away from Stan Sheriff Center. Cal Poly, looking over their stats, doesn’t seem to be top 4 categories, on offense, UH have that Crazy Zone, switching Defense, and you know, the 8, 9 10 or 11 guys that Gib is using, they know , to win they have to defend. Have to agree, UH in their zone, and full court press, and traps, most affective, they get runouts, early offense, and they can finish. If UH perimeter guys start knocking down 8-9 threes, and Fotu, Standhardinger go off for 20 and 18, pts, 12 and 9 boards, 2 and 3, blocks, 4 steals between them, as well as the 4 or 5 guards rotating in, get to the rim, score, or get fouled, plus some perimeter shots, UH can beat Poly and Northridge. All up to the team, they have tons of video, to scout the two BWC teams. UH brings that Missouri and Boise, St Mary’s energy, and shooting, they can win these to games…I think in first half, we shall see if UH stays close, or has controlling lead, UH has shown ability, which is great by coaches and athletes, they make adjustments, even if even or down, they come roaring back. Hope all the guys, have ther Game Face on, It is a War, and they want to go , not to NIT, which would be secondary Post Season and is good, they want to win Big West Tourney and Dance! Agree with winbows, here is where the seniors , the captains, the Juniors, and sophomore, first rotation and the whole bench, all 14 guys, have to , as Eagle says: “Prove it!”…Are you guys contenders or pretenders, Win, think sweep, one game at a time, however, mindset, to win everygame, so battle like each game is your last, the BWC tourney run, or NIT , NCAA playoffs to the title. So far, excellent job, from Gib, to assistants, trainers, tutors, boosters, fans, here and around the globe. This team, stay as a team, One OHANA, they win as a team, Now UH MBB, go get the Mustangs and Matadors, split would be great, a 2-0 record returning better yet, and you will be on top of standings! Go Bows.!! All of Hawaii BB fans, 5000 at the SSC and at least that many or much more, following around the islands, are backing you young men. Go Rainbow WARRIORS, time to start winning on The Road, show that you guys are MEN, you can do it!